By the end of September, every McGill student has been visited at least once by some non-profit organization (X) claiming to perform a vital service (Y) for some “third-world” country (Z). I arrived at one such meeting earlier this year, feeling unsure about what to expect. I had a general sense of unease, which I naively hoped would be put to rest by the forthcoming presentation. I patiently listened to five students describe the work their organization did internationally. As a student from Pakistan, a country rife with suffering and corrupted by the West, I hoped the meeting would tell me how I could do some unproblematic, effective work for countries struggling similarly. Within the first ten minutes it was apparent that this would not happen. Each sentence reminded me of NGO racism in Pakistan, or of aid agencies doing counterfeit, impractical work. Each PowerPoint slide made it clearer that the organization was more concerned with appearance than long-term change. There are at least twenty-two clubs at McGill that represent non-profit organizations worldwide. Many of these clubs organize trips to “third world” countries (which I will refer to as the Majority World), trying to get the McGill student body involved in hands-on work. I am in no way attempting to indict all of these clubs; I simply want to call attention to a recent rise in NGO culture and discuss its effects, both on and off campus. Arundhati Roy’s increasingly relevant essay “The NGO-ization of resistance” evaluated the ways in which non-governmental organizations are influencing resistance and altering the public psyche. NGO-ization refers to the recent flourish of non-profits throughout the Minority World, each with a different humanitarian mission. To some, non-governmental organizations are filling the gap created by a retreating state, and while some NGOs do provide real, material change, multinational non-profits are helping create a culture in which resistance itself is being redefined. NGOs now make up the fifth largest economy in the world, with the number of NGOs worldwide increasing by a factor of 280 in the last decade. This incredible rise is often cited as indicative of a rise in philanthropy. However, philanthropy and NGOs are in no way analogous. First and foremost, vetting an NGO has become astronomically difficult. Reports on the corruption of non-profits in the Minority World continue to surface, while an estimated 77 per cent of fraud investigations never reach mainstream media. By receiving foreign aid and having to maintain appearances, accounts of corruption remain undisclosed in many cases. As a McGill student, joining a chapter of an international organization is often unnerving, as the money you help raise is arbitrarily sent to the organization with an expectation of unwavering trust as to where and how the money is used. The murky waters of NGOs arranged to siphon off grant money or as tax dodges becomes even less clear when it takes on the form of a university club. McGill has notoriously used funds in irresponsible and damaging ways. Voluntourism at McGill results in a perpetuation of the White Saviour complex and often does more harm than good for the communities it seeks to aid. By acting in short-term, self-serving ways, Western students are often doing no more than satiating a need to be viewed as philanthropic. The money used on these volunteers could have been given to local, vetted businesses; simultaneously boosting the economy and recruiting professional, reliable work. Even “reliable” NGOs that are not participating in voluntourism are frequently contributing to a reinforcement of racist and classist stereotypes. In simply describing a community, NGOs are often problematically condescending, painting a picture of utter powerlessness. Students proudly presenting the work their organization does glorifies this behaviour, giving out what people ought to have by right and calling it “benevolence.” Students now feel superior by helping communities gain what they should already have, and regularly use a community’s struggles as padding for a resume. Talking to McGill students, club leaders, and even faculty, it’s apparent that the Western model of the Majority World is twisted and ubiquitous. As a non-Western student who regularly visits a Majority World country, reconciling my experiences with the perception perpetuated by NGO clubs is disconcerting at best. Students now feel superior by helping communities gain what they should already have, and regularly use a community’s struggles as padding for a resume. Even those who have heartfelt intentions often view the Majority World as a stagnant mass, devoid of any nuance or agency. By turning people into dependent victims, NGOs and NGO clubs create an image in which the Majority World is helpless: just waiting for an undergraduate student from PSYC 100 to help them out of their misery. This fosters a culture in which it is acceptable to respond with a look of pity, bewilderment, or fear when someone mentions their non-Western/non-rich/non-White home country or birthplace. With no recognition for the autonomy and diversity of more than half the countries in the world, it’s easy to see how NGOs have contributed to the normalization of these reactions. 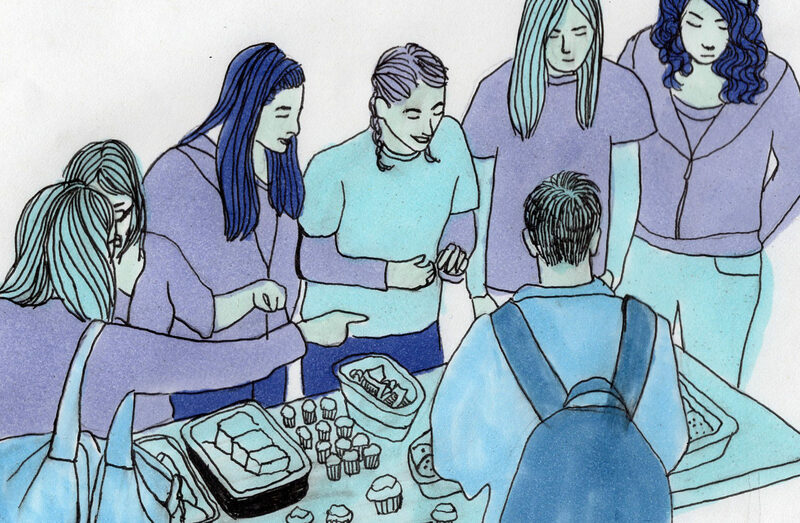 It’s easy to see how the flyer of an impoverished community or the face of a sad child helps to underscore racist and classist stereotypes, and how McGill students are made to feel like nothing can be done without their help. Multinational non-profit organization boards have been consistently shown to lack representation and diversity, further perpetuating these stereotypes. Of the governing boards of this year’s top 100 NGOs (most of which conduct work in non-European countries), 67 per cent are of European descent, and less than 1 per cent are Indigenous. This lack of intersectionality is continually reproduced in the activities of the NGOs. Clubs proudly claim their aid is given “regardless of race, gender, or sexual orientation,” but projects focused on alleviating racism occasionally exclude or further oppress women of colour, disabled people of colour, LGBTQ+ people of colour, and more, by neglecting to recognize the intersectionality of experiences and identities. Similarly, NGOs focused on “women’s movements” often try to engineer a “single organizational expression” of their cause which can lack a diversity of interests and spatial locations. Being a gay, racialized student, I couldn’t help but wonder if providing support “regardless of race, gender, or sexual orientation” was really the best solution. In a country struggling with state-sanctioned homophobia, was ignoring sexual orientation better than openly fighting for queer liberation alongside the NGO mission? Wouldn’t this simply allow homophobia to flourish, despite any necessary work the NGO did? Taking a political stance against acts of oppression seems crucial to provide any real change. Declining to mention the political climate of a country inevitably leads to an incomplete representation of a community’s needs and struggles. By depoliticizing issues that are political by nature, NGO clubs can unintentionally transfer blame to the community itself. Self-described “apolitical” organizations may neglect to acknowledge the origin of a community’s suffering, and by doing so, imply that it is somehow the community’s fault. By depoliticizing issues that are political by nature, NGO clubs can unintentionally transfer blame to the community itself. Often, it is the community itself that can most effectively target its own issues. NGOs end up interfering with local resistance groups by dictating the agenda of support and employing local activists in the communities they wish to aid. Activism becomes an employable skill, and resistance becomes a career. While providing jobs, NGOs are also neutralizing the radical resistance movements that have traditionally been self-reliant. Local activism and grassroots movements are being submerged in a sea of well-intentioned but ultimately less effective NGOs. By better understanding the community and providing relief from the bottom up, grassroots movements are more likely than big charities to provide real, long-term change. Rather than signing up to join an unvetted NGO, supporting local activism is often the best route to make a difference. Grassroots groups also employ definitional intersectionality, recognizing that providing help for racialized communities is not independent from providing help for women or LGBTQ communities, and vice versa.